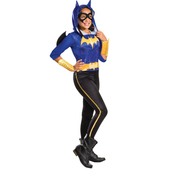 This fun children's costume is an officially licenced Batman costume. 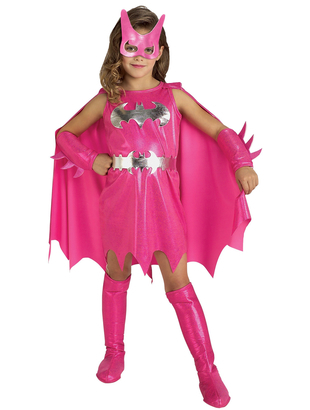 The pink Batgirl costume kit includes a glittery pink sleeveless dress with jagged hem. A metallic Batman symbol is printed on the chest. 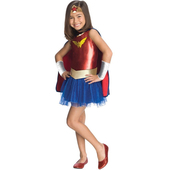 A matching cape is attached with velcro but can be removed if wished. 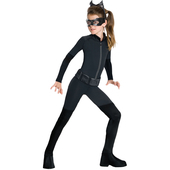 Also includes matching pink cuffs, pink boot covers, pink mask and silver belt with ribbon tie. 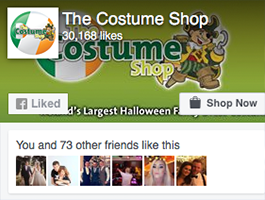 From Customer Feedback this costume is a big fitting and sizing may differ on packaging as sizes on the packaging reflect American sizes.